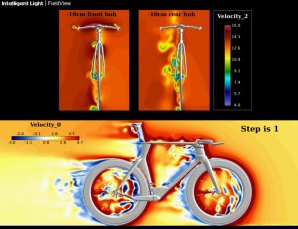 FieldView image of flow over a bicycle. Image from Intelligent Light. At the recent SC12 supercomputing conference, Intelligent Light was honored with IDC’s HPC Innovation Excellence Award for their work on developing CFD workflows and, in particular, the business success that one particular customer achieved as a result of Intelligent Light’s innovation. Two benchmark problems will be considered at the Bifurcations and Instabilities in Fluid Dynamics conference (8-11 July 2013, Haifa, Israel). To participate, contact the organizers before 01 December (link at website). Beta CAE Systems announced the 5th ANSA & μETA International Conference will be held 5-7 June 2013 in Thessaloniki, Greece. Abstracts are due by 28 February. Caedium was running on the liquid-cooled Asetek cluster at SC12. ESI-OpenFOAM has openings for several OpenFOAM-related positions including developers and trainers in several locations. AAF International has an opening for a CFD Engineer in the UK. 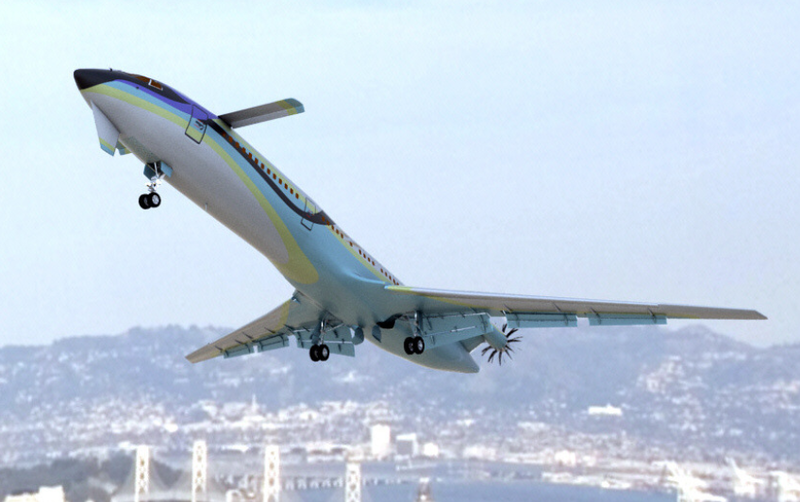 CFD was used in this study of future airliner concepts [PDF] which primarily concerns itself with tail-less designs. Tailless airliner concept. Image from a report by Conceptual Research Corp.
Our friends at CFDesign share this simulation of an oven-roasted turkey cooling. *Black Friday is the name given in the U.S. to the Friday after Thanksgiving. It’s the unofficial start of the Christmas shopping season and retailers offer extreme discounts that cause people to camp outside of stores to be the first in line for when the door opens. Let’s just say this can lead to overly aggressive shopping. This entry was posted in Events, News and tagged AIAA, Beta CAE, Caedium, CFdesign, FIeldView, Intelligent Light, jobs, OpenFOAM. Bookmark the permalink.